andquot;Hinemoa Viewsandquot; Ocean and land views. 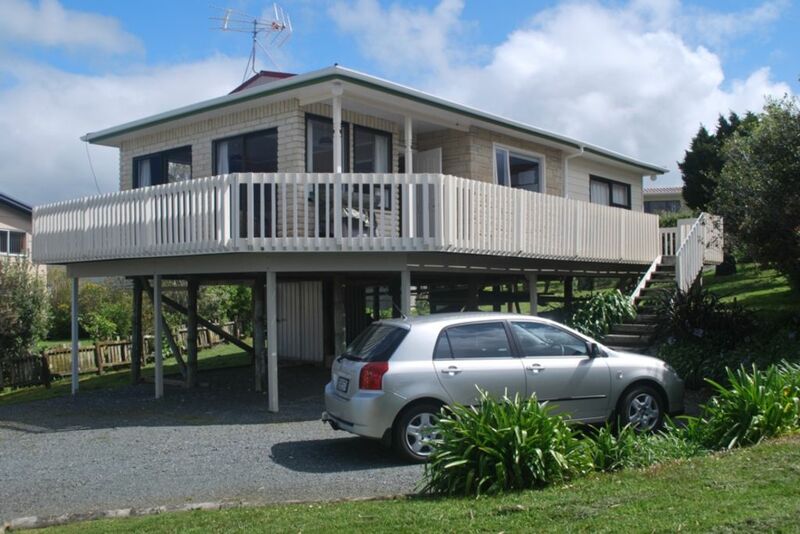 Located 1 hours drive north of Auckland and literally five minutes walk to the beach and park with childrens playground, public toilets and barbeque facilities. Ten minutes to Matakana township and wineries, and the famous Matakana Farmers market and 8 minutes to Warkworth Township and Golf Club. The beach is safe, great for children. Excellent for water sports and boats can be launched off boat ramp at mid to high tide. The home is elevated with views out to Kawau Island and beyond . Master bedroom with queen bed. One bedroom with 2 single beds. Lounge and dinning with Freeview TV and comfortable lounge suites . The bathroom has shower , handbasin and separate toilet. A fantastic deck to enjoy views out over the bay. In the kitchen there is a fridge , microwave and oven. Laundry with tub and washing machine. Ample parking for boats and cars with parking for one car under house .Gas BBQ for your use and outdoor table and chairs. Local shops and restaurant are five minutes walk up the road and there is a Gull Station, Hire Place, Pub and a great fish and chip shop plus the Warehouse. Please take your own bed linen and towels. Tea, coffee and sugar are provided as a starter for when you arrive. There are pillows and all beds have duvets and electric blankets. Suitable for 2 couples or family of 4. Great location just a few minutes walking to the beach. Great location just a few minutes walking to the beach. Very quiet and peaceful place. Nice sea views. House was tidy and self contained. The dogs loved it too as it has some grassy area. Great kiwi Bach, neat, tidy and has everything you need. Great kiwi Bach, neat, tidy and has everything you need. Highly recommend. Taking the family pet on holiday made the break away in this bach more relaxing for the family. Taking the family pet on holiday made the break away in this bach more relaxing for the family. The place was tidy and clean and plenty of space. Well kept property, clean and tidy. Well kept property, clean and tidy. Ideal location for Nat' Parks/walks and heaps of swimming beaches. We were reluctant to leave. Great location for beach and cafes, easy walking distance to both. Bach is well equipped with sea views from decking.